LOS ANGELES (Hypebot) – As the music industry goes into overdrive trying to figure out how many people are still using Apple Music now that their 90 day free trials are up, TIDAL has publicly passed milestone of its own – 1 million. 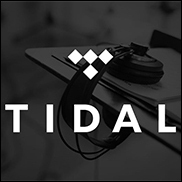 TIDAL has passed 1 million paid subscribers. Not bad for a fairly new independent streaming music service with no free tier. TIDAL officially launched just 6 months ago, but brought some subscribers from Aspiro when Jay Z bought that company for $56 million. To celebrate, TIDAL is hosting and streaming a special concert in Brooklyn, N.Y. on Oct. 20th. “Let’s celebrate 10/20 Brooklyn,” he tweeted. TIDAL X: 1020 is a huge charity concert featuring headliners Beyonce, Jay Z, Nicki Minaj, Prince, T.I., Usher, Lil Wayne, Fabolous and others alongside up-and-coming artists including Alessia Cara, Bas, Justine Skye and Flatbush Zombies.